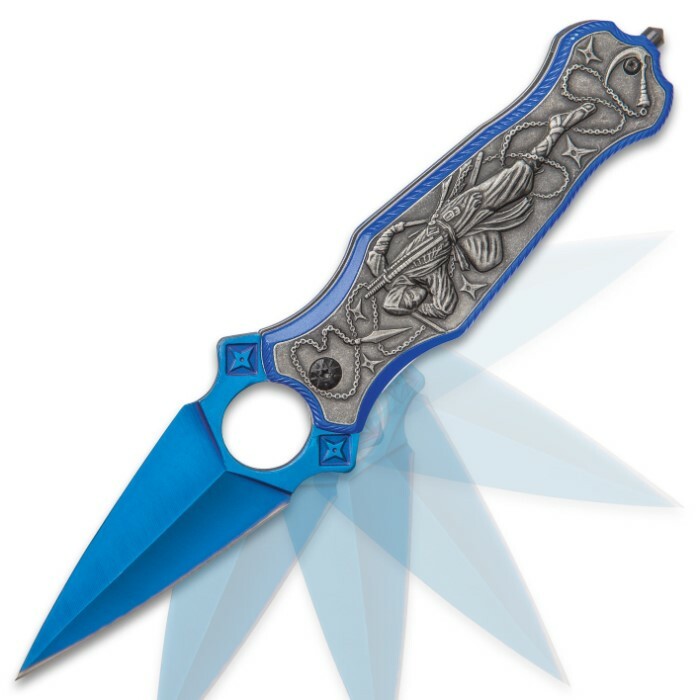 Midnight Ninja Assisted Opening Pocket Knife - Stainless Steel Dagger Blade, Aluminum Handle, 3D Relief Artwork, Glass Breaker | BUDK.com - Knives & Swords At The Lowest Prices! 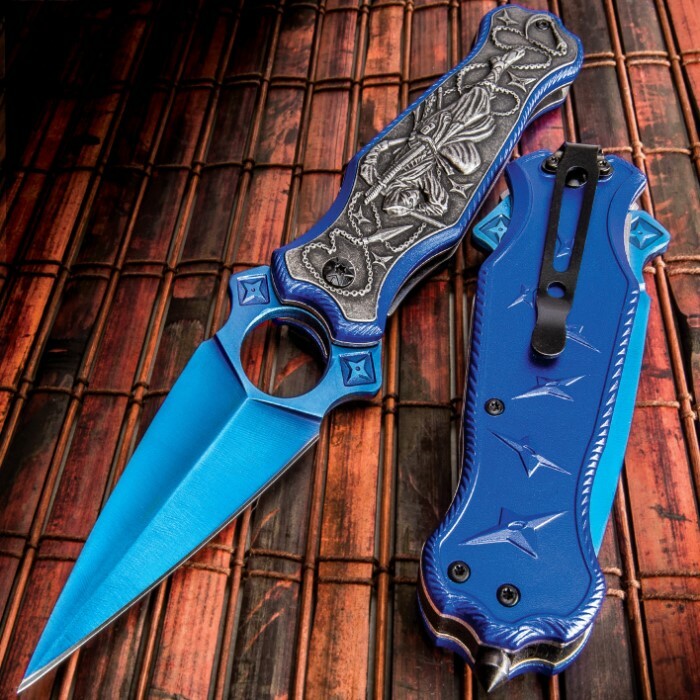 The Midnight Ninja Assisted Opening Pocket Knife is a stealthy showpiece, hiding a dagger, in the guise of a pocket knife, behind artfully crafted and decorative handle scales. 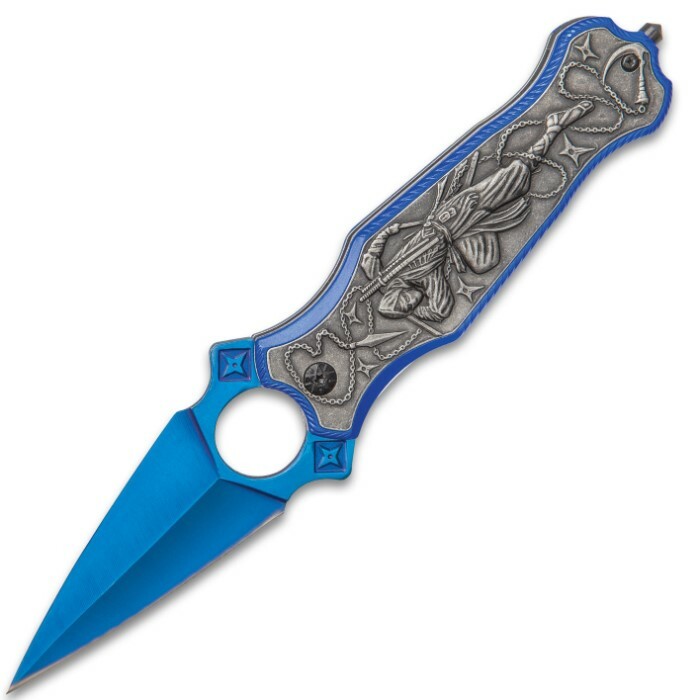 The 4” stainless steel dagger blade has a metallic blue finish and features a large through hole to reduce the overall weight of the knife. 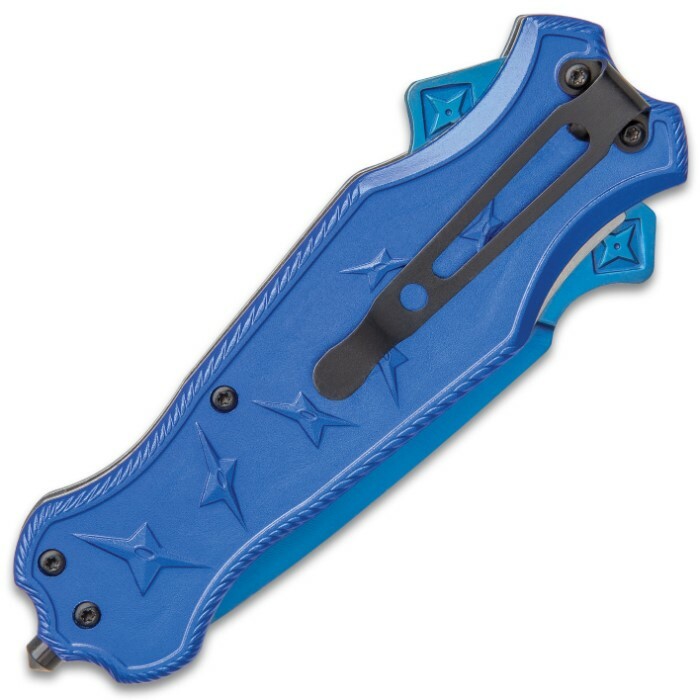 The razor-sharp blade can be quickly accessed using the star adorned flippers on either side of the blade to activate the assisted opening mechanism. 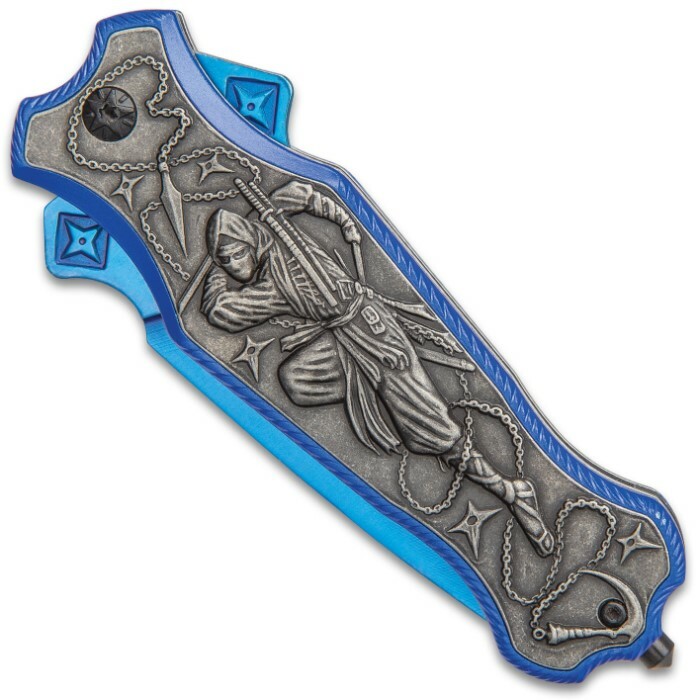 The metallic blue aluminum handle features a Ninja warrior in 3D relief on one side and a metal pocket clip on the opposite side. The assisted opening pocket knife has a closed length of 4 3/4” and the handle features a glass breaker at the end. I bought this one and its gray brother, and they look amazing, and the blades are quite sharp! The problem, however is that closing it is kind of a chore. You have to either close it slowly awkwardly holding the non sharp sides, or you have to use a wall, or your pants, etc. (using your pants is a health hazard since you can cut yourself) I'm not sure how practical this knife is for every day use, seems more like just a show knife.